Tanqueray is one of the highest selling gin brands in the world. Charles Tanqueray (1810 – 1865) was the son of the Reverend Edward Tanqueray (1762 – 1847), rector of Tingrith in Befordshire. With his elder brother Edward (1805 – 1838), Charles was apprenticed as ginmaker to Currie & Co of Bromley by Bow, one of the largest distilleries in London. The two Tanqueray brothers partnered with Arthur Currie (1804 – 1875) to takeover the Bloomsbury Distillery, an established gin manufacturer at 3 Vine Street, Bloomsbury, in 1835. The building has not survived, but the street still exists, and has been renamed Grape Street. Charles Tanqueray was an ambitious man. He wanted to create a gin to rival, or even better, those of Felix Booth (1775 – 1850) and Alexander Gordon. 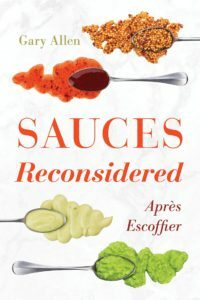 He experimented ceaselessly through trial and error to perfect his recipe. He finally settled on just four botanicals: juniper, angelica root, liquorice and coriander seeds, the same four used by Tanqueray today. The Bloomsbury Distillery was described as “extensive” by 1840. Edward Tanqueray died in 1838, and Charles was assisted by his brother John Samuel Tanqueray (1817 – 1902) in the 1840s and 1850s. Arthur Currie left the partnership in 1847. Charles Tanqueray died in 1865 and the business was managed by his brother William Henry Tanqueray (1814 – 1887). Charles Waugh Tanqueray (1848 – 1931), the son of Charles Tanqueray, took over the distillery upon completion of an apprenticeship to a grocer in 1867. Charles Waugh Tanqueray was perhaps more commercially-minded than his father, and under his leadership sales grew and exports increased. A keen sportsman, he was an upright Christian gentleman with a social conscience and a determined character. Most Tanqueray gin was sold at a strength of 40.19 percent ABV in 1877. Some gin was also sold at 35.19 percent ABV. Charles Waugh Tanqueray approached Reginald Charles Wilford Currie (1854 – 1922), the proprietor of Gordon & Co, gin distillers of Goswell Road, London, regarding a merger of their two companies in 1897. Tanqueray was amalgamated with Gordon in 1898 to form Tanqueray, Gordon & Co, a company with a capital of £500,000. R C W Currie became the managing director, and Charles Waugh Tanqueray took the opportunity to retire. Following the merger all production was centralised at the Gordon site at 132 Goswell Road. Gordon’s London Dry Gin became the priority brand. Harry Aubrey Tanqueray (1907 – 1982) was the only grandson of C W Tanqueray. He became a stockbroker, and does not appear to have been affiliated with the gin business. Largely due to the growth of the temperance movement and a substantial rise in excise duty, alcohol consumption declined in the period following the First World War. Tanqueray Gordon was acquired by the Distillers Company, which was heavily involved in consolidating the spirits industry, in 1922. R C W Currie, managing director of Tanqueray Gordon, died in 1922. Tanqueray Gordon was by far the largest gin distiller in the world by 1926. Charles Waugh Tanqueray outlived his only son Charles Henry Drought Tanqueray (1875 – 1928), and died in 1931. The Goswell Road site was nearly destroyed during the Blitz. The Tanqueray green bottle was introduced from 1948. 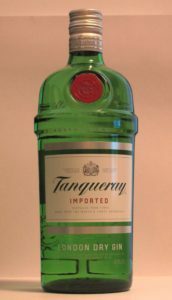 The premium-priced Tanqueray became popular among affluent Southern Californians, and American sales took off from there. British gin was popular because it was smoother than American gin, and was to prove a good mixer for a Martini cocktail. 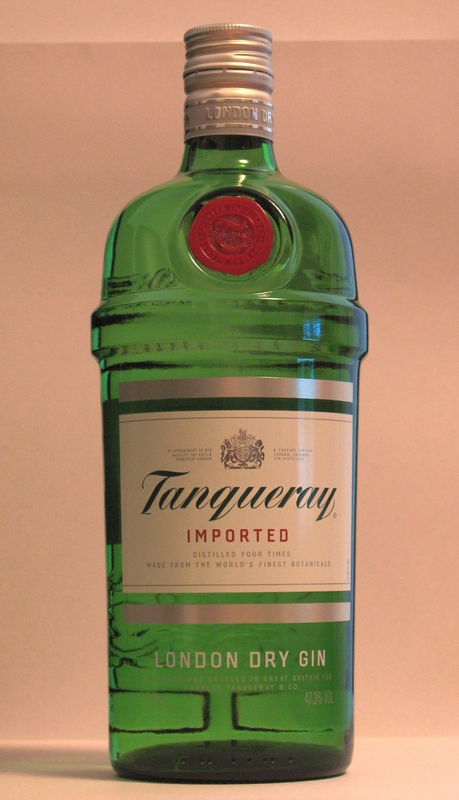 United States sales of Tanqueray doubled in 1964. Frank Sinatra and the Rat Pack became fond of Tanqueray martinis at the Buena Vista Social Club in San Francisco. In four years United States sales rose by 1700 percent. Over 85 percent of the Goswell Road output was shipped to the United States by the 1960s. Tanqueray became one of the leading spirit brands in the world. 600,000 cases of Tanqueray were exported to the United States in 1975. Tanqueray sales reached one million cases in 1979. Due to increasing sales a purpose-built 26 acre distillery in Laindon, Essex was opened from 1984, and the Goswell Road site was divested. Charles Tanqueray & Co won a Queen’s Award for Export Achievement in 1985. Guinness acquired Distillers in 1986. John P Tanqueray (born 1934), the great grandson of Charles Tanqueray, retired as commercial director of Tanqueray Gordon in 1989. Guinness merged with Grand Metropolitan in 1997 to form Diageo. The combination of two spirits giants left the company with an excess of productive capacity. As a result the Laindon distillery was closed with the loss of 220 jobs in 2000, and all production was relocated to Cameronbridge, Scotland. Tanqueray held over 50 percent of the US gin market in 2002. Globally, Tanqueray sales grew by 15 percent in 2018. Fillerys Toffees was established in 1923 by a consortium of four investors led by Robert Harold Mayhew (1874 – 1965). The factory was located on Warwick Road in Greet, south Birmingham. The site covered four acres by 1927, and due to increasing sales, 24 hour production was introduced from 1930. Fillerys Toffees was incorporated as a public company in 1934. Herbert E Morgan was chairman. The company had an authorised and issued capital of £100,000 by 1935. Around 300 workers were employed. Fillerys led the toffee industry as one of the most efficient producers by 1942. Fillerys targeted the higher quality market. During the Second World War, most of the factory was given over to munitions manufacturing for the war effort. Under a Government scheme to encourage industrial efficiency, Fillerys Toffees were produced under contract by Rowntree of York between 1942 and 1946. The company had established nationwide sales distribution by 1949. The end of sugar rationing in 1954 saw a boom in confectionery sales. 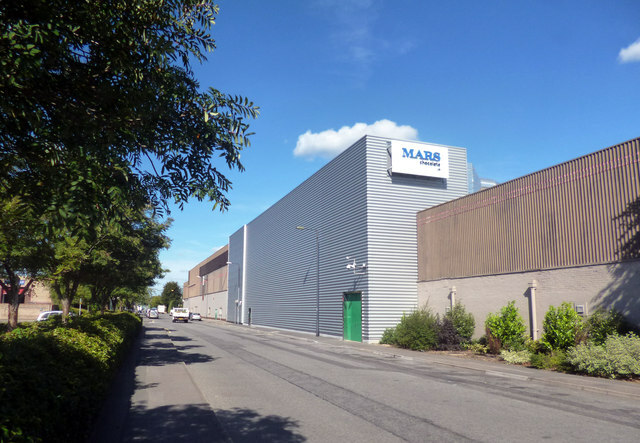 Fillerys Toffees won a prestigious and valuable contract to supply confectionery for Marks & Spencer. The sugar confectionery boom was over by the end of the 1950s, as increasing prosperity saw consumers increasingly switch to chocolate products. As a result, the industry began to consolidate in order to reduce costs. Fillerys was acquired by J A & P Holland of Southport in 1960 to create the largest toffee manufacturer in Britain, and possibly the world. Cavenham Foods acquired J A & P Holland in 1965. The Fillerys factory was closed down in March 1966, and production was transferred to Southport. The reason given was that the Fillerys factory did not have room for expansion. About 230 workers lost their jobs. Once one of the most prestigious cigarette manufacturers in the United Kingdom, Benson & Hedges cigarettes are sold across the world. A former subsidiary introduced the highly successful Parliament cigarette brand to the United States. William Hedges (1836 – 1913) and Richard Matthias Benson (1817 – 1882) established Benson & Hedges, tobacconists and cigar importers of 13 Old Bond Street, London, in 1873. Situated on one of the most exclusive streets in the world, the firm targeted the aristocratic market. Hedges, a clerk, was born in St Marylebone, the son of a coal merchant. A refined and pious man, he was a keen Wesleyan Methodist, and frankly considered the tobacco trade to be on the verge of immorality. Benson was a Bristol tobacconist who had followed his father into the trade. He was a coarse man, and in many ways the opposite of Hedges. He spent much of his time at his tobacconists in Bristol, but when in London he would stand outside the Benson & Hedges shop, dressed drably, smoking a cigar and brazenly spitting onto the street. Benson smoked fourteen to fifteen cigars a day, and died, allegedly from excessive smoking, in 1882. It was estimated that he smoked £20,000 of the firm’s stock during his lifetime. Alfred Paget Hedges (1867 – 1929), the son of William Hedges, joined the firm as an assistant to his father following the death of Richard Benson. He possessed a fierce ambition, but was also likeable, and considered a thoroughly decent human being. 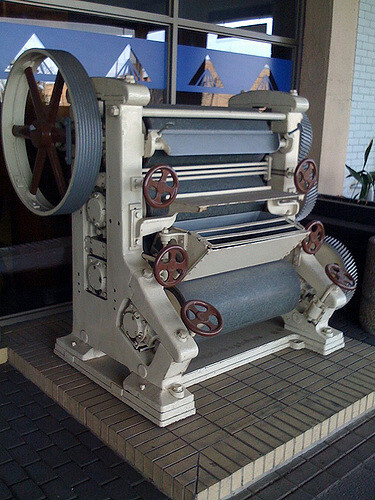 Benson & Hedges was converted into a private limited company in 1896. The London business attracted a number of high-spending Americans. Encouraged by their custom, William Hedges established a United States subsidiary at 288 Fifth Avenue, New York, from 1897. A relatively small business, it sold high quality cigars and manufactured premium-market cigarettes. Arthur Quinton Walsh (born 1861), a long-term bookkeeper for Benson & Hedges, was sent to manage the subsidiary. Sales were slow to develop at Fifth Avenue. The store was located on the first floor, and was thus unable to entice window shoppers. Walsh instead found success when he established a branch outlet at affluent Newport, Rhode Island. Walsh defied the orders of William Hedges by relocating the Fifth Avenue shop to a ground-level address at 314 Fifth Avenue in 1900. He moved again in around 1905 to 17 West 31st Street, which was to prove unsuccessful due to its more obscure location. He relocated the business to 435 Fifth Avenue from 1907. A Canadian subsidiary was established on Cote Street, Montreal from 1906. Both North American branches were to prove successful. William Hedges had retired by 1901, and A P Hedges had become the managing director. A P Hedges was a man guided by his Wesleyan Methodist faith, and served as a lay preacher. He was elected as a Liberal Member of Parliament for Tunbridge in Kent from 1906 -1910. Benson & Hedges was converted into a public company with a share capital of £120,000 in 1910, in order to fund the expansion of the London and Montreal businesses. William Paget Hedges (born 1894) joined his father at Benson & Hedges following service in the First World War. Company capital was almost doubled to £220,000 in 1920 in order to establish a new cigarette factory at 104, New King’s Road, Fulham, and to provide further capital for the North American subsidiaries. The American subsidiary was highly successful on the back of a strong national economy, and the British company continued to prosper. Meanwhile the initially successful Canadian subsidiary entered into modest losses in 1925 and 1926, triggered by an economic depression which hit the luxury trade particularly badly. This was compounded by high taxation. Benson & Hedges believed that the subsidiary would have required a very high level of advertising expenditure if it was to remain viable, and lacked sufficient capital to provide it. As a result of this, the Canadian subsidiary was sold to Adhemar Gaston Munich (1882 – 1970), a French-born Quebec investor, and a regular customer, in 1926. The United States subsidiary was sold to two New York banking houses in 1928. With a tiny sales force of no more than 20 people, the company grew rapidly. It was to find great success with Parliament, a premium-priced filtered cigarette, from 1931. Joseph F Cullman Jr (1882 – 1955) acquired control of the company in 1941. A P Hedges died in his London office from heart failure in 1929. Major Arthur Pearson Davison (1866 – 1955) became managing director of Benson & Hedges. Benson & Hedges held a prestigious Royal Warrant to supply King George VI by 1946. Benson & Hedges (USA) was the seventh largest cigarette manufacturer in America by 1952, and sales were dominated by Parliaments. However the company lacked sufficient scale to provide its growing brand with the research and marketing support that it needed. Benson & Hedges (USA) was acquired by Philip Morris, which, although the fourth largest cigarette manufacturer in the country, lacked a successful filtered cigarette brand of its own, in 1953. Sales of Parliaments tripled between 1953 and 1961, due to improved distribution and a growing market for filtered cigarettes. Meanwhile, Benson & Hedges of Old Bond Street was subject to a friendly takeover by Gallaher, a large British tobacco company which was attracted to the prestige value of the brand, in 1955. Benson & Hedges held a Royal Warrant to supply the household of Queen Elizabeth II by 1956. Gallaher sold the overseas rights to the Benson & Hedges brand outside North America to British American Tobacco in 1956. The independent Benson & Hedges (Canada) Ltd was acquired by Philip Morris in 1958. Benson & Hedges was the leading king-size cigarette brand in Britain by 1981. Benson & Hedges (Canada) merged with Rothmans in 1986 to form Rothmans, Benson & Hedges Inc, in which Rothmans held a 60 percent stake, and Philip Morris held a 40 percent stake. The Benson & Hedges premises at 13 Old Bond Street were retained until at least 1998. The Queen Elizabeth II Royal Warrant was withdrawn in 1999. Japan Tobacco acquired Gallaher for £9.7 billion in 2007. Philip Morris International acquired full control of Rothmans, Benson & Hedges Inc for about C$2 billion in 2008. Benson & Hedges remains a leading brand of Japan Tobacco, Philip Morris USA, Philip Morris International and British American Tobacco as of 2019. Parliament is the twelfth largest cigarette brand in the world. Pott & Co built what was probably the largest vinegar brewery in Britain, and grew to control 25 percent of the market. William Rush (1611 – 1668) began to brew vinegar at Castle Street, Southwark, London, from 1641. The premises had previously belonged to a gardener, who had used the land to rear hogs. In an age before artificial refrigeration, vinegar was a much more important commodity than it is today, due to its preservative effect on foodstuffs. A single vessel at the brewery held 50,000 gallons of vinegar by 1790. The Rush family operated the brewery until 1790 when it was acquired by Robert (died 1824) and Arthur Pott, whose family had brewed vinegar at Mansell Street, Whitechapel since 1720. Robert and Arthur Pott rebuilt the entire site across five or six acres, to create perhaps the largest vinegar brewery in England by 1795. Charles Arthur Pott and William Pott (1795 – 1878) were the partners by 1833. 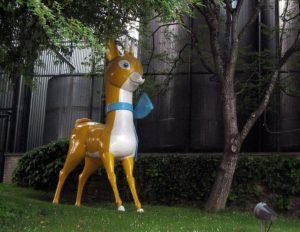 The firm was the third largest vinegar brewer in Britain by this time, with 14 percent of the market. Charles and William Pott held a 25 percent share of the British vinegar market by 1844. The firm held a stock of 746,139 gallons of vinegar that year. The brewery site covered five acres by 1846. An examination of vinegars by The Lancet praised the purity of Pott’s vinegar in 1852. The brewery possessed one of the principal wells of London in 1862. The business traded as R W C Pott by 1866. By 1876 the business traded as A W R & N Pott. By 1884 the business traded as R & N Pott. Robert (1825 – 1894) and Norbury Pott (1838 – 1924), sons of William Pott, controlled the business. Robert Pott was head of the concern until his death in 1894. The brewery was operated by Robert Bertram Pott (1861 – 1944), son of Robert Pott, and Norbury Pott by 1900. The family sold the brewery to Beaufoy & Co, its long-established London rival, in 1902.